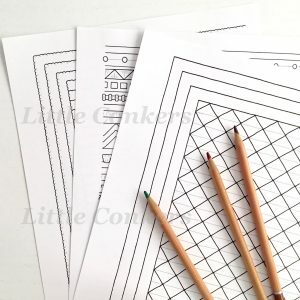 Following the popularity of my Crochet Dreams colouring book, I have been working for some time on the idea of crochet colouring pages for you to print at home. 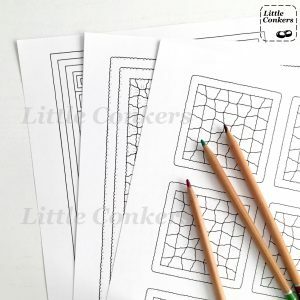 I’ve created three bundles, each of which contains five unique crochet-inspired pictures to colour, designed and drawn by me. 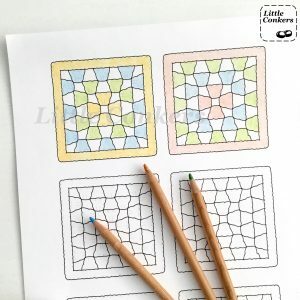 Use them to plan out colour schemes and layouts, or just to while away the time when you don’t have access to your hooks. In this Bundle you will find five different designs inspired by crochet blankets, including a ripple, stitch sampler, star-stitch and stripes. Click for a closer view. Don’t you love granny crochet! 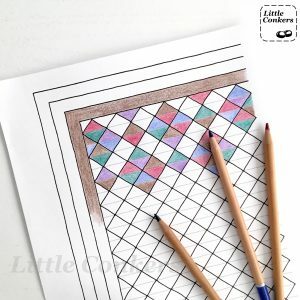 This bundle contains five designs to colour based on granny squares and block layouts. 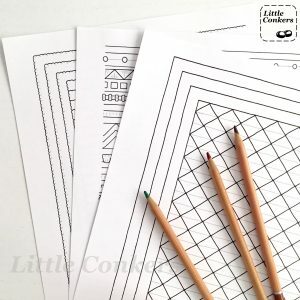 You may never crochet a thing, but you can have such fun planning out your colour arrangements with these sheets. 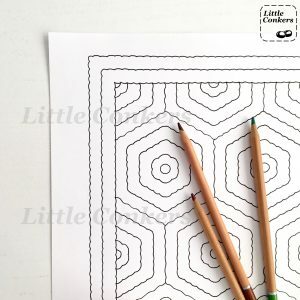 This Bundle features designs including hexagon blocks, an 8-pointed star blanket and a fantastic crochet mandala that is a delight to colour over and over in different ways. Each of the five designs in each bundle is unique, so if you order all three bundles together there will be no duplicate designs. 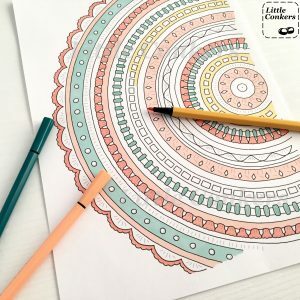 Some of the designs are brand new, including the crochet mandala and stitch sampler ‘blanket’, so if you have previously bought my Crochet Dreams colouring book, you will still find new designs here to inspire you. 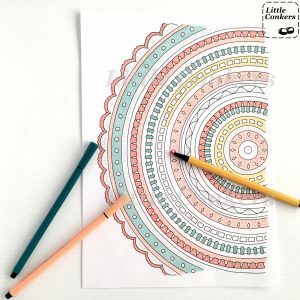 The designs include a margin sufficient for you to bind your finished designs in a folder if you are keeping them as a reference for your crochet projects. 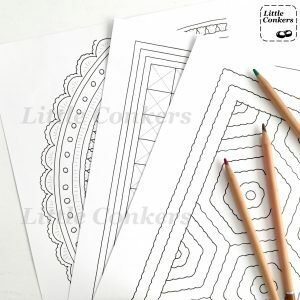 Please visit the Colouring Pages section of my Etsy shop for full details and to download your colouring pages. I’m planning to publish more designs in due course, so do let me know if there’s a particular crochet pattern or stitch you’d like to see. 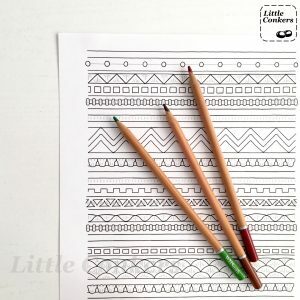 Finally do please share pictures of your coloured designs on Instagram, Twitter and Facebook, using #LittleConkers so I can find your posts. I get such a kick out of seeing how people create such diverse and inspiring things from a single original design.